New features coming in the next release of Pointwise will ease the burden of constructing an assembled overset grid system. Overset gridding refers to the use of multiple disconnected grids to discretize the flow domain. The component grids, which can be any size, type, or shape, need only overlap each other to completely cover the solution domain. Furthermore, a component grid resolving one geometric feature may intersect another geometric feature (Figure 1). As a final preprocessing step (or during the solution, in the case of moving bodies) composite grid assembly software determines which grid points lay outside the flow domain (Figure 2) and grid-to-grid connectivity. Figure 1: Independently generated prism grids about spheres overlap each other and the background Cartesian mesh. 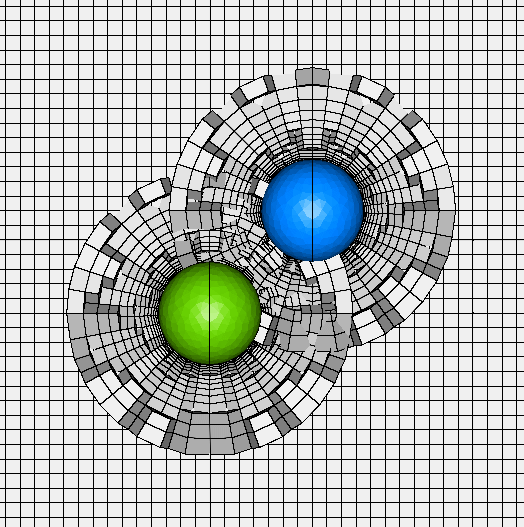 Figure 2: The background Cartesian mesh is cut where points fall within the sphere geometry (left). 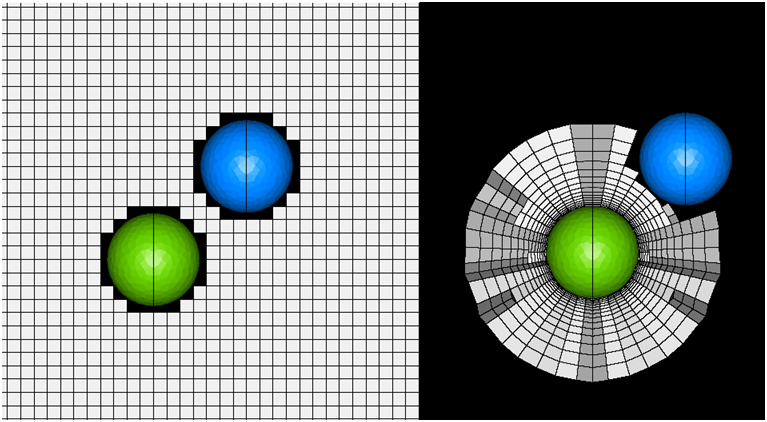 The prismatic grid around the green sphere is cut where points lay inside the blue sphere (right). The power inherent in the simple concept of disconnecting domain connectivity from grid construction cannot be overstated. In addition to simplifying the grid generation process, component grids can now be tailored to the local geometry, physics, and even solution model, e.g. turbulent flow transition or ice accretion. Time and time again, compromises in grid quality to facilitate domain connectivity have been shown to reduce simulation accuracy and robustness. By using overset grid technology, such problems can be mitigated. Overset mesh generation is then conceptually split into off-body or background grids and near-body grids which resolve geometry and viscous effects. Often structured hexahedral component grids are used for their efficiency and accuracy. However, the overset technique is routinely applied using hybrid unstructured grids for highly automated meshing of complex configurations. As is often the case in any endeavor, a tragic failure led to innovation in the nascent computational fluid dynamics (CFD) field. In the wake of the Space Shuttle Challenger explosion, NASA set about re-examining issues in the Shuttle program. Among these was the discrepancy between aerodynamic predictions and flight experience. The group formed to deal with these issues included many well-known CFD pioneers from NASA, industry, and academia. An overriding theme in their findings was that their models were too simplified and ignored important geometry due to the inability to mesh these features with current meshing technology. The group pushed grid generation, overset grid assembly, and solver technology forward until advancements such as collar grids, automatic hole cutting, and solution of moving body problems resulted in predictions matching flight experience . The legacy of this work is a wealth of knowledge  and software tools [3, 4], validated on one of the most demanding applications ever undertaken, most of which is freely available. These tools continue to perform with distinction when compared with state-of-the-art CFD tools, as evidenced in results of the American Institute of Aeronautics and Astronautics (AIAA) CFD High Lift Prediction  and CFD Drag Prediction workshops . 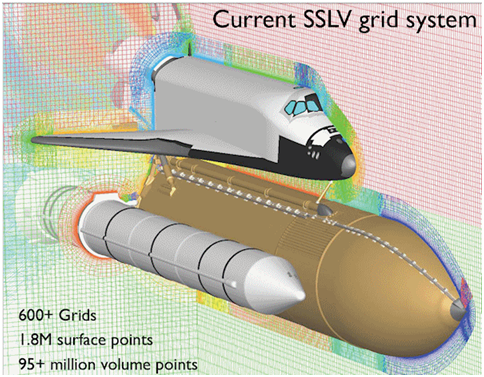 Figure 3: Current Space Shuttle Launch Vehicle grid system. Reynaldo Gomez III, NASA Johnson Space Center EG3. Despite the availability of overset tools, their use has always had an acknowledged steep learning curve . The grid assembly process is traditionally done outside the meshing application and can produce difficult to understand failure messages. 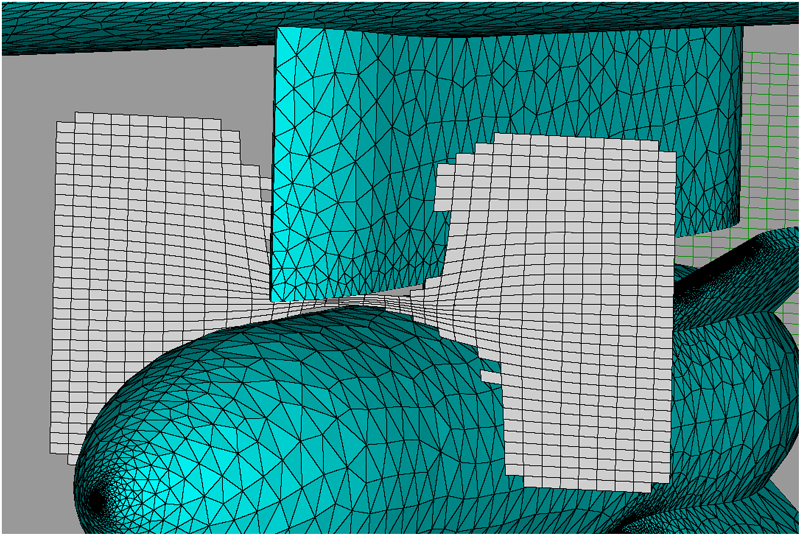 Visualization of the assembled composite mesh requires yet another software tool. Through the support of two U.S. government Small Business Innovation and Research contracts, Pointwise, Inc. has been working to include comprehensive overset grid assembly and diagnostic tools into its Pointwise software. The next release of Pointwise will feature the results of our multi-year efforts at overset grid assembly integration and will provide native support for the PEGASUS 5 software from NASA Ames Research Center and the Suggar++ software from Celeritas Simulation Technologies. 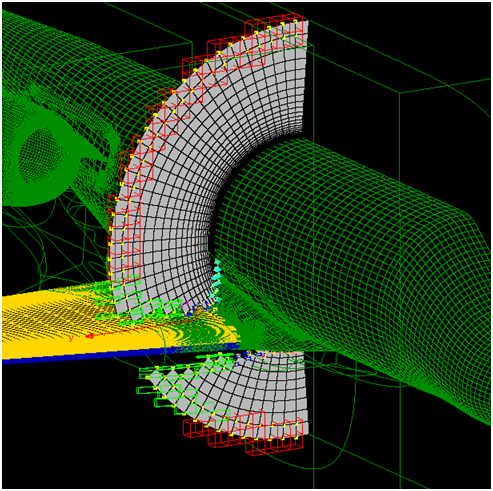 Pointwise has worked with industry experts to develop a flexible and powerful approach to overset mesh generation. Input attributes for the selected assembly software are loaded at run time from an XML definition file. The Pointwise GUI adapts to present overset model definition using an attribute tree (Figure 4). Figure 4: Overset models are defined using an adaptive tree-based interface. Required and optional data panels are constructed at run time from an XML definition file. 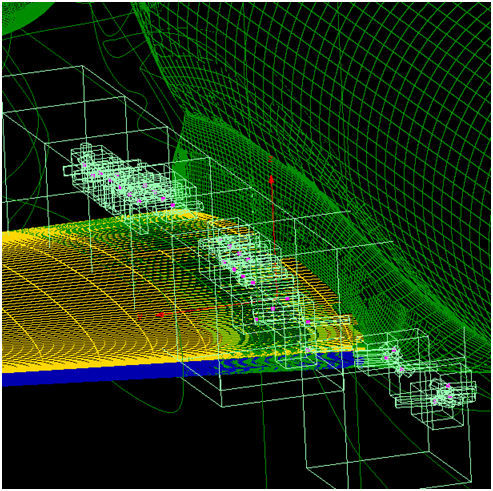 Grid block assignment is performed using standard Pointwise selection tools. Feedback for assigned blocks is presented through color coding in the Pointwise Display Window (Figure 5). Figure 5: Selecting a node in the Overset Attribute Tree causes assigned blocks to be highlighted in the Display window. The completed overset definition is then prepared for assembly using the assembler's native file structure. Assembly can be performed on the local workstation, or on a remote machine, with a single button press. 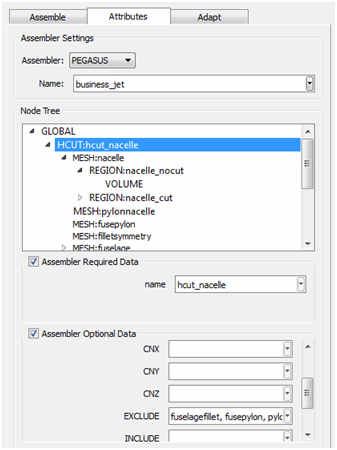 The assembly process is monitored, and upon completion, domain connectivity data is automatically loaded into Pointwise for display. 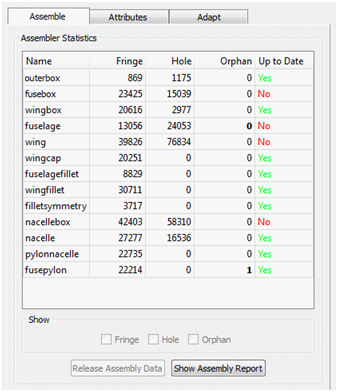 A wealth of imported connectivity data, including fringe, hole, or orphan designation, is displayed in a tabular format on the Assemble Panel. The Assemble Panel also alerts you when the imported connectivity data goes “out of date” due to grid modification (Figure 6). Figure 6: The Assemble Panel provides domain connectivity statistics, controls overset object visibility, and tracks block modification to alert users to stale data. Because fringe, hole, and orphan designation is critical to grid validity and useful for grid improvement, we've added several ways of visualizing this data in Pointwise. The Assemble Panel provides control for visualizing fringe, hole, and orphan markers for individual blocks. These markers (Figure 7) remain visible when performing grid improvement operations, for example block redimension or re-extrude. Figure 7: Hole markers (gray) delineate where the fuselage block (white outline) was cut by the wing and engine pylon-nacelle geometry. The expanded features in the Examine command provide for further inspection. Control has been added for visualizing overset data on cutting planes, including blanking of hole cells and display of fringe points and their donor cell (Figure 8). Also, a better understanding of orphan points can be gained by displaying the orphan and its donor candidate cells (Figure 9). Figure 8: A cutting plane through the fuselage block is clipped where cut by wing geometry. Fringe points (yellow) are drawn enclosed by their donor cell (various colors by donor block). Figure 9: Orphans (magenta) in the wing-fuselage junction region are shown along with their candidate donor cells (light green). The overset simulation process is streamlined leveraging Pointwise's strong component grid generation methods through integration with state-of-the-art overset grid assembly tools. But there's more! In this release, for the first time, Pointwise is releasing a grid adaption tool. Problems with overset block communication can occur when grid cells of disparate size are overlapped. Poor overset communication can manifest as solution failure, loss of robustness, or solution inaccuracy. 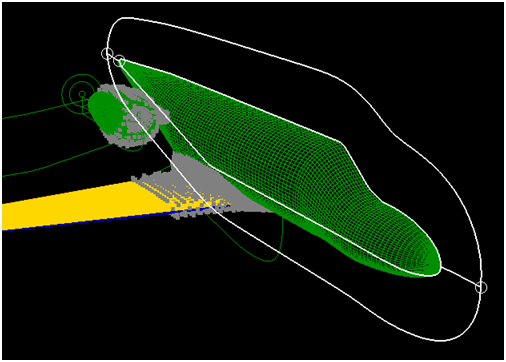 A new Pointwise Examine Function, fringe-donor volume ratio, is useful for locating problem areas in the composite mesh for remediation. Pointwise can now use this metric as a driver for automatic structured grid (Figure 10) and unstructured tetrahedral grid adaption. Technical details of this feature can be found in our recent AIAA paper . Preliminary testing of this feature looks encouraging and we are eager to learn how the adaption tools work for your application. Figure 10: A structured refinement grid has been adapted to fulfill overset communication requirements in the gap between pylon and store. 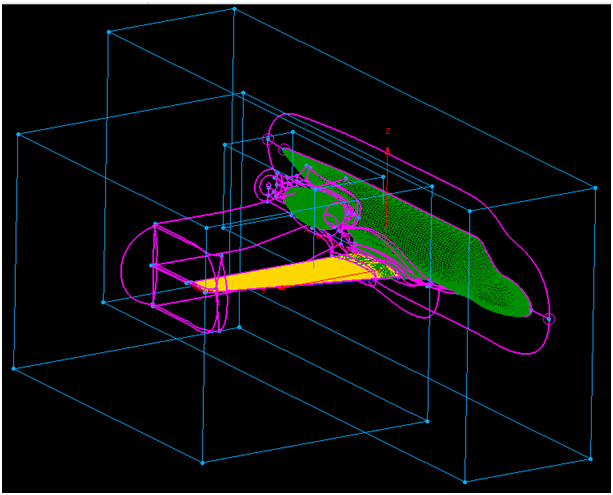 Version 17.3 of Pointwise will provide some useful tools for improving your meshing workflow and simulation results. It is undergoing quality assurance testing right now and will be released for production use as soon as possible. If you are new to overset grid simulation, consider attending the Overset Grid Symposium 6-9 October on the campus of the Georgia Institute of Technology in Atlanta, Georgia. Better yet, come to the 2014 Pointwise User Group Meeting on October 29-30 in Anaheim, California, where we will have a technical overview of the overset grid assembly methods in Pointwise and a hands-on training session where you can use the new software yourself. “20+ Years of Chimera Grid Development for the Space Shuttle”, Pieter Buning, Reynaldo Gomez, 10th Symposium on Overset Composite Grid and Solution Technology, September 20-23, 2010. “Best Practices in Overset Grid Generation”, William Chan, Reynaldo Gomez, Stuart Rogers, Pieter Buning, AIAA 2002-3191. “2nd AIAA CFD High Lift Prediction Workshop”, 31st AIAA Applied Aerodynamics Conference, June 22-23, 2013. “Summary of the 4th AIAA CFD Drag Prediction Workshop”, John Vassberg, et al, AIAA 2010-4547, Chicago, IL, June 2010. “Automatic Structured and Unstructured Grid Cell Remediation for Overset Meshes”, John Steinbrenner, Nick Wyman, AIAA 2014-0779, January 2014.